Here’s how the world works: Asia’s known for high value, compact cars that handle well; America builds cheaper versions of European cars that are fast in a straight line but can’t go around a corner; and Germany...Germany is responsible for the fact that I can’t seem to write a single article without making at least one WWII reference. But, that story is old and well-known — much like the well-known automotive paradigm we’ve all become accustomed to over the years. But the stereotypes that we’ve gotten used to over the years don’t entirely bear out under closer inspection. That’s true looking back over history, and even more so today. Yes, there was a time when America was known for luxury and handling, Europe straight-line speed and Japan tough trucks. But time marches on, and today is a lot more like the distant past than the decades most of us might remember. In this article, we’re going to explore some of the myths and stereotypes we’ve built up over the years, and check how they compare to modern reality. For sure, the 2009 recession shook the settled order like a snow-globe of expectations, and we’re in a different world now. How different? When Japan first debuted as a car maker in the United States, it was as a budget-price competitor to offerings already on these shores. Budget priced in terms of buy-in, but more importantly in running costs. Just after The War, Japan was still very short on the oil reserves that started the whole thing to begin with. With fuel in short supply and not many major manufacturing reserves left, Japan began to specialize in smaller, cheaper cars that used as little fuel as possible. Most Americans scoffed at that idea until the oil crunch hit in the 1970s — that’s when Japan found itself in an ideal position to provide rides to one very thirsty nation. Makes like Toyota, Honda and Nissan (sold as Datsun here) quickly rose to prominence. America fell in love with Japan’s take on fuel efficiency and practicality. In those segments, Japan's cars are usually no smaller, lighter or more efficient than any other. Fast-forward to the 1990s, and that was still true in terms of reputation. 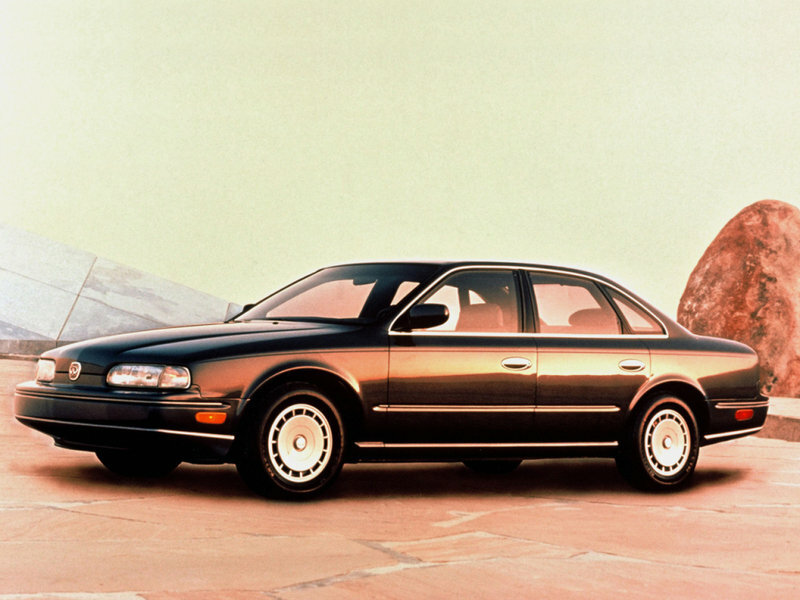 But Japan had already begun plus-sizing with cars like the Nissan GT-R, Infiniti Q45 and Lexus LS. These days, Japan still produces loads of compact cars — but the simple fact is that Japanese cars compete in segments and classes like any other. They build cars to fit in all market segments — and in those segments, Japan’s cars are usually no smaller, lighter or more efficient than any other. In fact, many times considerably less so. 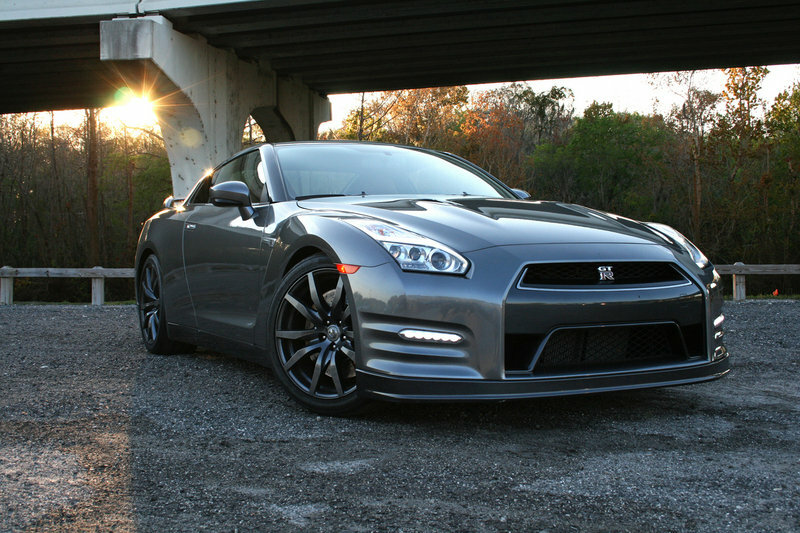 Exhibit A: The Nissan GT-R. While undoubtedly a masterpiece of design, the GT-R is the fat boy of its class. At 4,000 pounds and, 16 miles city and 26 mpg highway, it’s about 900 pounds heavier and 3 mpg (highway) behind Chevrolet’s Corvette. In the compact hybrid category, where you’d expect Japan to dominate, you’ll find unlikely contenders in the top three. Volkswagen’s 2012 Volkswagen Jetta Hybrid actually bests the 2014 Toyota Prius on the highway by 3 mpg — and it ties for second with the 2014 Honda Civic Hybrid. In the super-mini class, which Japan utterly owned for decades, the 2015 BMW i3 Hybrid’s 39 combined mpg is almost a dead match for the CVT 2014 Mitsubishi Mirage’s 40 mpg. Take hybrids out of the equation, and BMW’s excellent 328d diesel matches the tiny 2014 Scion iQ and non-CVT Mirage at 37 miles per gallon. And that’s a mid-sized BMW 3-Series, one of the best cars on Earth. So, Japan still does small, light and efficient just as much as ever — but their best cars are none of the above, and Europe is as good (if not better) at all of them. What’s in a badge? Maybe not as much as you think. Europeans like to say that you get what you pay for, and that’s why Euro cars are so expensive. Certainly Germany, long known for its engineering prowess, could make a case for that. But a funny thing happened on the way to Das Repair shop. 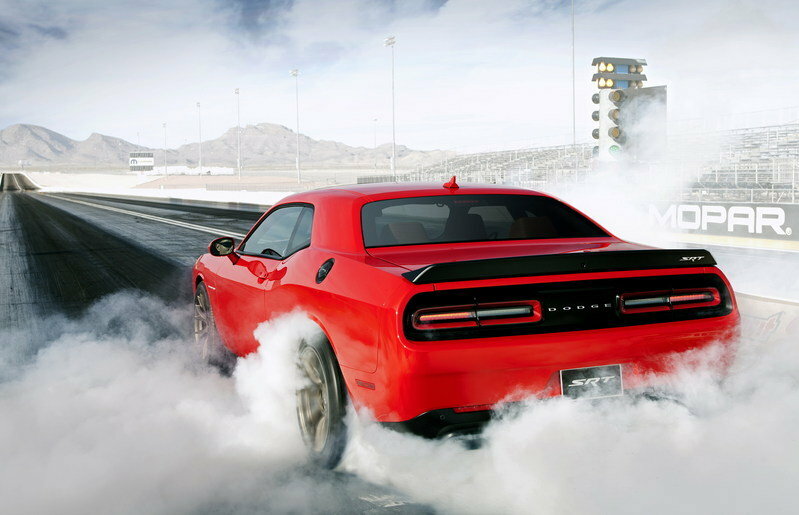 As a for-instance, let’s take a look at two often-compared rivals: Dodge and Mercedes. While they were recently part of the same company, Mercedes remains a shining example of European quality, while Dodge just makes cars for rednecks. Right? But then how would a redneck supercar like the Dodge Viper stack up against Mercedes’ best and brightest: the amazing 2015 Mercedes-Benz SLR McLaren? 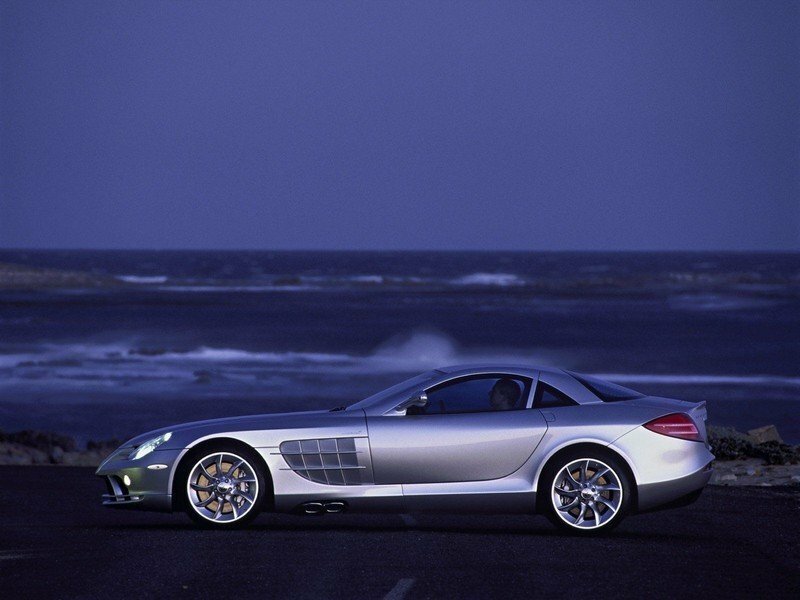 It’s gone out of production now, but the SLR and Viper were produced contemporaneously by DaimlerChrysler. They were about the same size, and had similar performance. One was built in America for $80,000; the other in European laboratories for five times as much. Seems like a pretty fair comparison of cost to quality — one, if anything, heavily weighted in favor of Europe. So, let’s take a look at the service histories of these two cars, starting at the number of technical service bulletins (known faults, but not to be confused with recalls) issued during the Merc’s production run. Ouch. And it gets worse. The Viper has never had a single safety recall in its entire two-decade history, let alone anything relating to catching fire. You’re apparently thinking of the 2006 SLR McLaren. Safety recall (#06V220000) states that high under-hood temperatures could cause the alternator to overheat and catch the engine compartment on fire. And this was just one of three of equal, um...importance. So, to summarize: That’s zero recalls for the Viper in 23 years, and three major recalls in five years of production for the Mercedes. Which again, cost five times as much. And lest you think I’m cherrypicking, rest assured that this scenario isn’t particularly atypical these days. Especially where performance cars are concerned: Porsche and Ferrari fare little better than Mercedes when it comes to self-immolating supercars. However, anyone would have to concede that European cars typically have nicer interiors, better initial quality, and a habit of staying on the road for a very long time when properly maintained. When properly maintained. But American and Japanese cars will generally run on sawdust and hate for about 80 percent as long as most German cars maintained like Swiss watches. Yes, we do tend to build slightly lower-quality cars at the moment — but they’re nowhere near the primadonnas that European cars are. Well, the ones that don’t burst into flame, anyway. This is one of those stereotypes that Americans themselves (intentionally) helped to perpetuate. Brutal, thirsty musclecars have kind of been our thing for a long time now, and we’ve a long and proud history of building evil-handling, overpowered death machines. All the way up through the SUV era, we’ve had a kind of deliberate love affair with supercharged Hannibal Lectors. And even that’s not exactly accurate; "V-8 Ted Bundys" would probably be closer to the truth. However, a few thousand SUV rollovers and another gas crunch later, and we’ve come to prefer our musclecars with some fava beans and a nice Chianti. Case in point, a certain comparison test published in the May 2014 issue of Motor Trend. If you’re a Camaro fan, you undoubtedly already know of it: 2014 Chevrolet Camaro Z/28 vs 2014 Porsche 911 Turbo S vs 2015 Nissan GT-R. This one article probably did more to herald a new day in the Battle of the Continents, overturning decades of assumptions and proving conclusively the premise of this write-up. Chevrolet walked away with a first place finish over Godzilla and Ferdinand, at almost half the price. The Camaro wasn’t the lightest car in this test — that was the Porsche by 150 pounds. 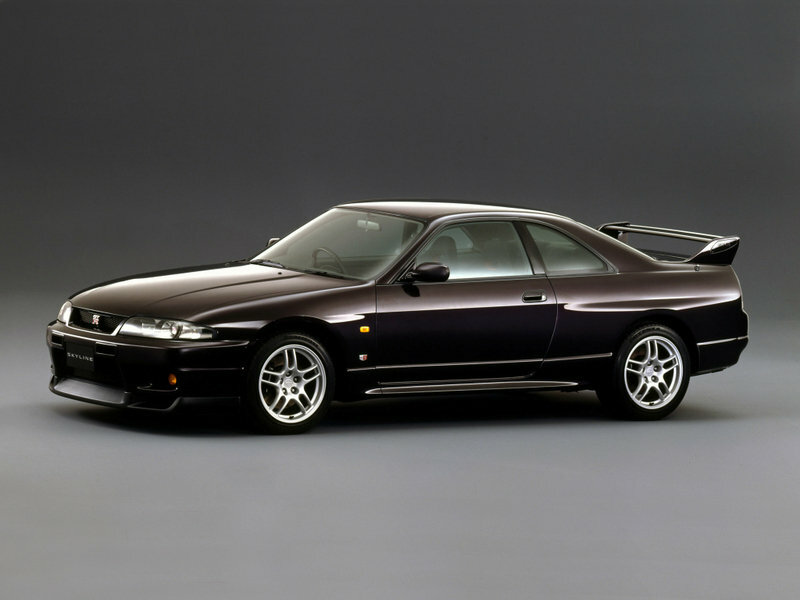 And it was the least powerful by 40 horses behind the Nissan, which weighed about 245 pounds more. The Camaro was the slowest in the quarter mile (12.3 seconds), almost 1.5 seconds slower than the Nissan and Porsche. The 2.6-second Porsche decimated the Camaro’s 4.0-second 0 to 60 time, and the Nissan was right behind at 2.7 seconds. Both benefited from all-wheel-drive, while the musclecar made do with only its rear wheels. All things considered, the $75,000 Camaro was set for a slaughter; it was simply outclassed by the $117,000 Nissan and $185,000 Porsche. And a slaughter it was. Because the Chevy beat both of them around the Streets of Willow raceway. Granted, it wasn’t by much, but the Camaro’s better handling and brakes brought it out ahead of Nissan and Porsche’s best. What? Better handling and brakes? From an American car? Yes indeed, thanks in no small part to the largest front tires ever fitted to a production car. Chevrolet built the Z/28’s entire chassis around those massive 305/30R19 Pirellis, which were the same width as the Porsche’s rear tires. Chevy was serious about racetrack dominance, and it showed in the Z/28. Chevrolet walked away with a first-place finish over Godzilla and Ferdinand, at almost half the price. Based entirely on out-handling and out braking two of the best handling and braking cars in the world. Again, this isn’t especially atypical nowadays. The Chevrolet Volt out-handles and out-brakes its Prius competition, Ford’s Focus out-slaloms and brakes the Toyota Corolla, and the Chevrolet Cruze almost matches the VW Jetta in skidpad, slalom and braking. It’s the same story across the board for American vehicles competing with Japanese and European cars, in almost every segment. It’s true, some people still prefer the handling manners and stability of European cars, and Ford’s Taurus still doesn’t hold up to a BMW 3-Series. Or even an Infiniti G37, for that matter. But the field is getting so narrow at this point that Europe or Japan would have a hard time claiming clear victory on any front. 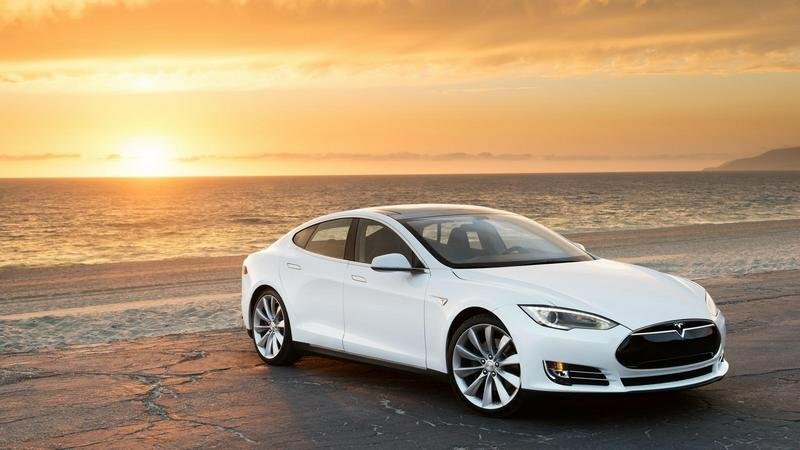 Three Words: Tesla Model S.
Actually, it could just be left there. That said, let’s go on by comparing the Chevrolet Volt to its closest Japanese rivals, the Honda Civic Hybrid and Toyota Prius. Honda’s system is mild hybrid configuration, which is effectively just a very powerful start/generator. It’s got a bit more juice than the average start/stop system, but it’s not terribly sophisticated. 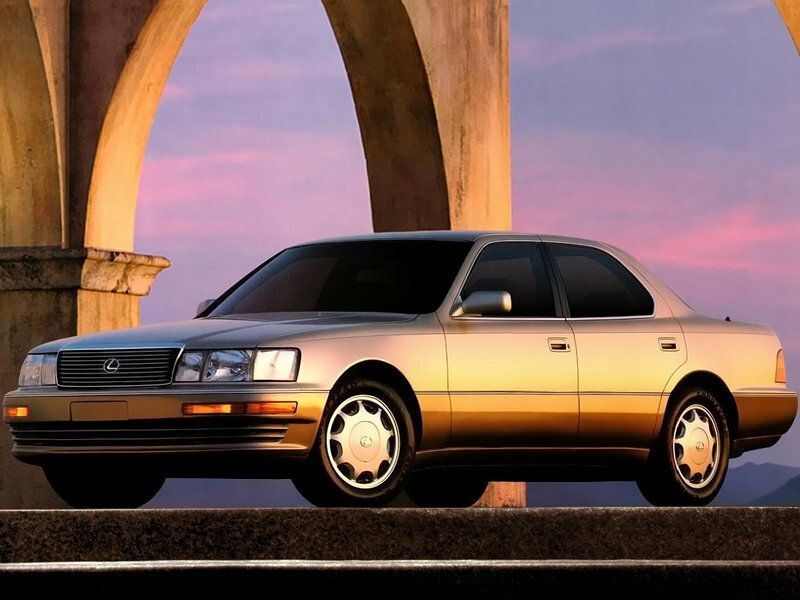 Toyota’s parallel hybrid system is much more dedicated and elaborate, but it’s almost 20 years old now and it’s extremely limited in terms of pure EV mode. Chevrolet’s hybrid system allows the Volt to run in parallel, series or full plug-in EV mode, and can seamlessly switch back and forth between them. 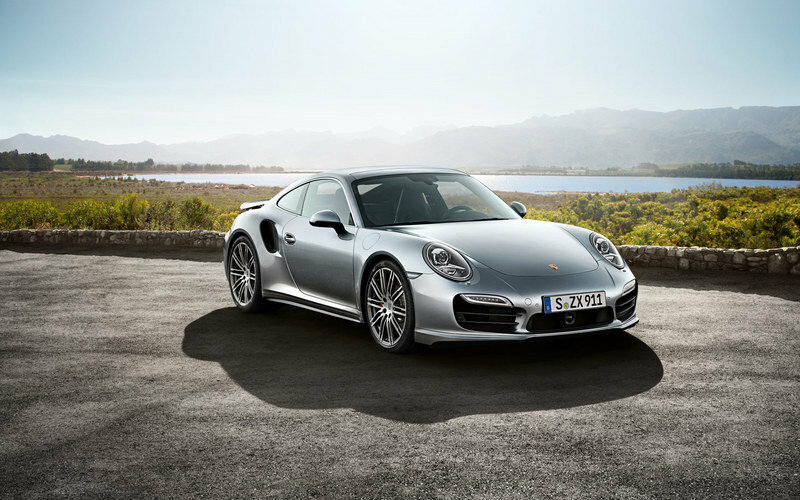 Of the three, it’s the most recent, powerful and sophisticated. Who knows drones like America? We invented the Terminator. As of now, the Europeans are a little ahead of the United States when it comes to tech gizmos and driver aids. America is sort of adopting safety and driver aid technologies Mercedes already uses — in that respect at least, very little has changed. It’s been an axiom in the industry forever: If you want to see what’ll be on your car in five years, look at what Mercedes is doing today. However, stuff like radar cruise control, automatic braking and lane assist are already old news. They’re semi-autonomous driving functions. The real frontier today is in building fully autonomous cars; roving robot drones that can operate without any kind of human involvement. And who knows drones like America? We invented the Terminator. As of right now, Google and Tesla are furthest out in front in terms of bringing self-driving/auto-pilot cars to the mass market. But GM and Ford aren’t far behind. Indeed, the Germans are catching up, but only by partnering with American companies to finish and refine the technology. And, for what it’s worth, the two technologies most critical in making self-driving cars possible (GPS and LiDAR) are both from these shores. American cars are also at least competitive with others in terms of technologies like interior gizmos and in-car entertainment. Fastest is an easy one to refute. Fastest truck and SUV in the world: Ford. 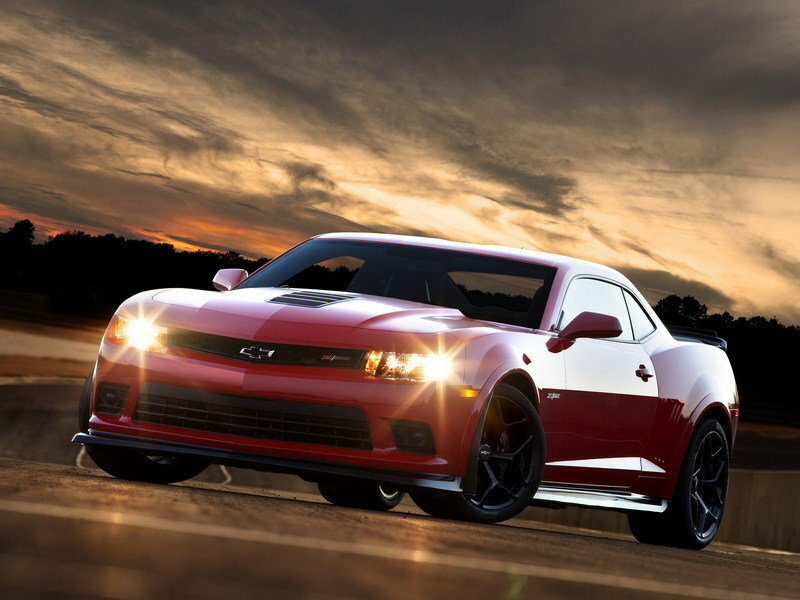 Best handling front-engine/rear-drive car in the world: Chevrolet. The 2015 Dodge Charger Hellcat and 2015 Tesla S P85D are the quickest and fastest sedans around, in both electric and gas categories. 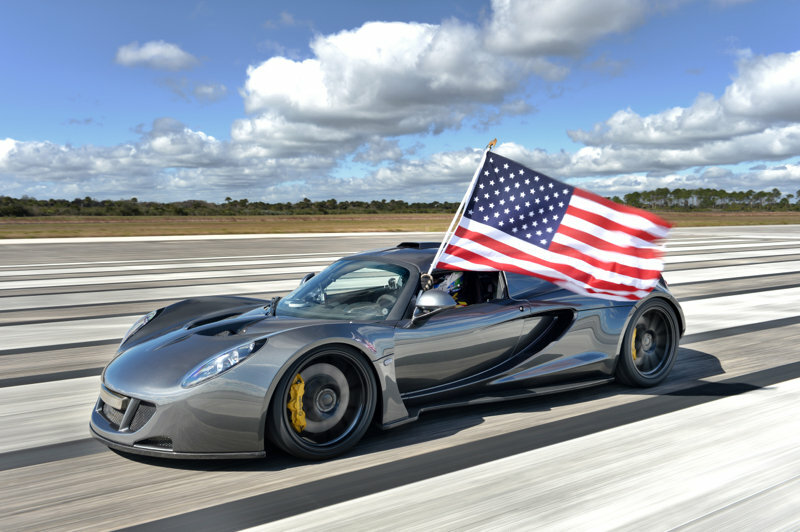 And Hennessey’s 2014 Hennessey Venom GT is the fastest production car in the world, period. For now. Though, knowing Hennessey, if anyone trumps them by 2 mph, they’ll just crank up the boost and go 5 mph faster. It’s the Texas way. It seems the Old World has gotten just that: Old. So, it’s probably fair to say the U.S. has recaptured its speed credentials. What about style? Europe might still corner the market on that one — it depends on your taste. If you prefer your cars as statements of form following function, the way some of us do, then the Germans win by a mile. If you like your cars ridiculous, hyper-modern and over-the-top, then Italy’s there for you. Sort of. While Italy’s supposedly been on the cutting edge of style forever, the Italians aren’t quite as far out in front of the pack as they used to be. Ferrari and Lamborghini are both wearing last season’s fashions — and no words are a greater insult to Italians than that. But the same is true from Alfa Romeo to Zagato. Part of the problem is that, ironically, the Italians are leaning a little too hard on traditional brand styling for their own good. For instance: Sure, the 2008 Lamborghini Reventon seems like a bold risk in terms of styling. But its styling was really just an evolution of the Murcielago’s, which itself was a direct evolution of the (Chrysler era) Diablo, which was derived from the Countach. 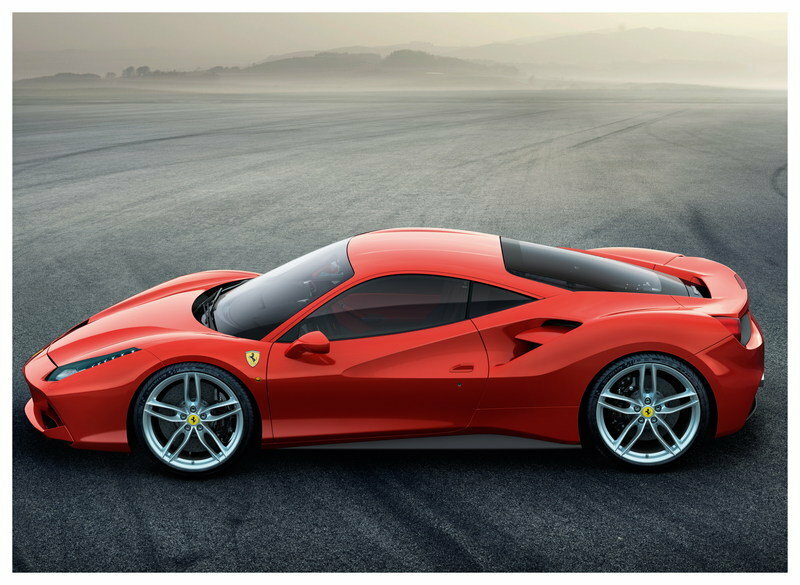 The same is true for Ferrari; as "modern" as the 2014 Ferrari LaFerrari or 2016 Ferrari 488 GTB may look, both are essentially rehashes of the Dino and 308 GTB. Alfa Romeo used the same basic lines it always has, until recently, and so does Bugatti, Citroen, Maserati, BMW, Aston Martin, Rolls Royce, Bentley and plenty of other "style leaders." Jaguar and Mercedes are notable exceptions — but they’re the exceptions. For the most part, European designs have gotten decidedly...safe. The difference between America's retro and Europe's retro is the difference between Sexyback and back ache. Of course, there’s nothing really wrong with that, and nobody would begrudge a brand for following its natural evolution. But style is about revolution. It’s about taking chances, and not even the Italians are really doing that these days. They’ve gone, if anything, a tad retro. And not in a cool way, either. Not cool the way Justin Timberlake wears a fedora; more in the way that old man sitting in front of the post office does. Granted, America’s doing retro too — most obviously in the ponycar segment, with the Camaro, Mustang, Challenger et al. 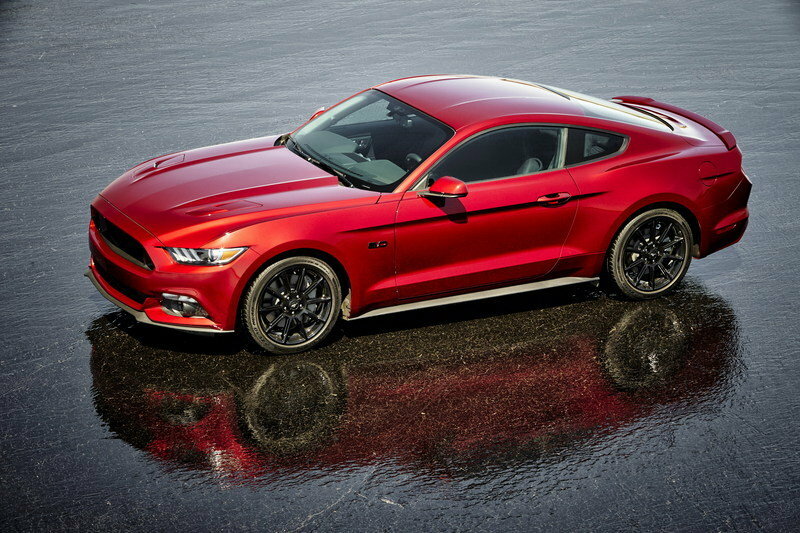 In the sedan segment, that would include the Charger and 300C, and Ford’s Taurus has picked up some of its looks from the new retro-ish Mustang. The same could be said for the latest Corvette Stingray, and the SS with which it shares some family resemblance. Even our pickup trucks are going subtly old school; the boxy and brawny lines of today’s F-series, Silverado and Ram trucks have a lot more in common with those great old rigs from the 1970s and ’80s than anything more recent. But the difference between America’s retro and Europe’s retro is the difference between Sexyback and back ache. Again, taste is subjective, and some are sure to disagree. But post-modernism is all about irony and perspective. It’s about commentary on the past, not re-living it. References to days gone by are fine, even encouraged — but those references have to come from a modern perspective. That’s what Chevy’s doing with the Camaro and Stingray, Ford’s doing with the Mustang, and Mopar’s doing with...well, everything. 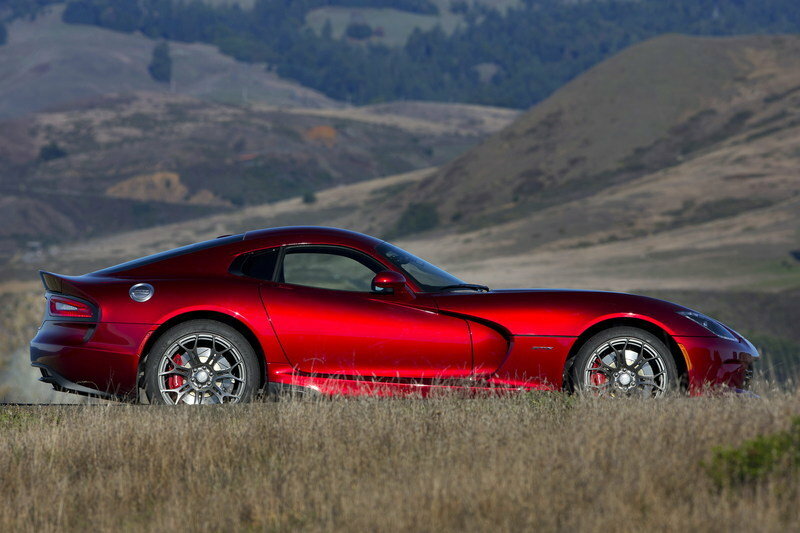 Even the Viper, as you may recall, is a callback to the 1964-1965 Shelby Daytona Coupe. These cars are commentaries on their forebears, and many of them came out of the blue as new models or complete redesigns. Sure, American retro cars wear the fedora. But they do it with chiseled abs and a smirk — not a pot belly and yellowed dentures. This article could go on forever busting myths, and a second and third part may be due at some point. Now, I know you started saying a long way back that certain writers around here have an unnatural bias toward American cars. And in everything but build quality, you’d probably be right. Mea Culpa. But the fact is that many of the changes we’ve seen in the last decade or so have been favorable to American automakers. Not exclusively, but largely. Yes, Japan is still doing high-tech gadgets, and building reliable and fuel-efficient cars. Europe’s still building solid autobahn cruisers with nice interiors. But American automakers are running on a world stage these days, and the bad times of a few years ago have pared all of them down to only the best and strongest elements. Certainly, everyone suffered losses a few years ago — but very few of them came as close to getting wiped out of existence as GM, Ford and Chrysler. Call it survival of the fittest if you like, but this new automotive environment seems to have culled the weakest from our herds and left the best cars, engineering and build practices to compete. American automakers are apparently still alive, fighting hard and coming back stronger than ever.